We are starting the BM 29th Edition today and I am going to blog about sweet treats for Kids this week. When I talk about sweets, my kids are not so keen into sweets, other than chocolate treats and cakes. And if at all they eat, it’s only sweets that we make at home. Nothing of the store bought sweets for them, other than Sonpadi. So I know I will end up making cakes and chocolates when I decided to do this theme. However we were surprised when Konda loved this laddo that Amma made for us. It’s a quick fix and something I end up doing with these whole grains. Makes a healthy snack as well. Fry the wheat till it turns colour slightly. Roast the nuts and keep it aside. Cool and powder it fine. Powder the sugar separately and take both wheat powder along with sugar, coconut, nuts in a bowl. Add melted ghee and press out balls. If the laddos don’t hold it’s shape, sprinkle hot milk over the mix and quickly shape out laddoos. Frying can be done without ghee. If you want you can add a tsp and fry. Since milk is added, take care to store it properly. Quick to make ladoos!!!! Sometimes kuttu too will surprise me like this. Lovely color too!!! A nice variation, Valli to the usual wheat/besan laddoos. Yummy and lovely ladoos..Looks very tempting..
Quick and easy recipe – just the way I like it. I know there are very few ingredients already, but what if I leave out coconut? will it still work out? 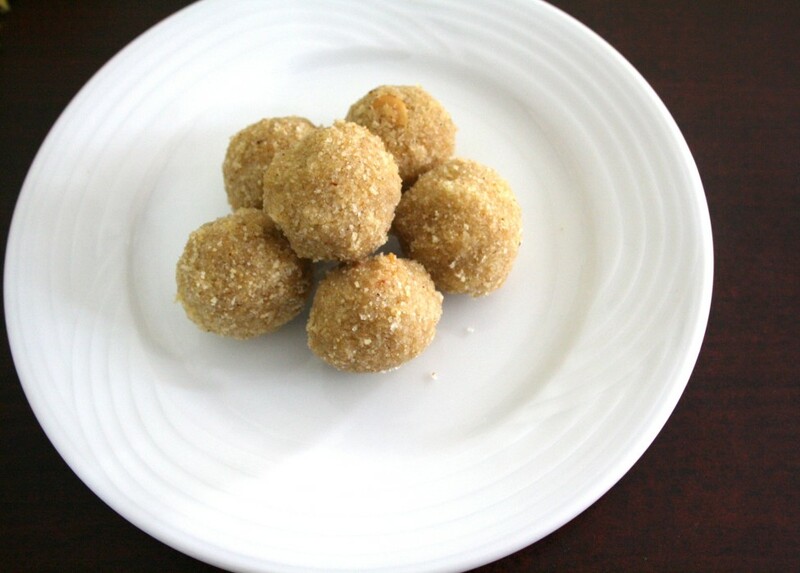 I too made a recipe with samba sooji today and since I have some more of this sooji I too was thinking of making this laddoo for the kids delight theme. Healthy laddoo! Coconuts add a rich taste to the ladoos. Delicious evening snack! 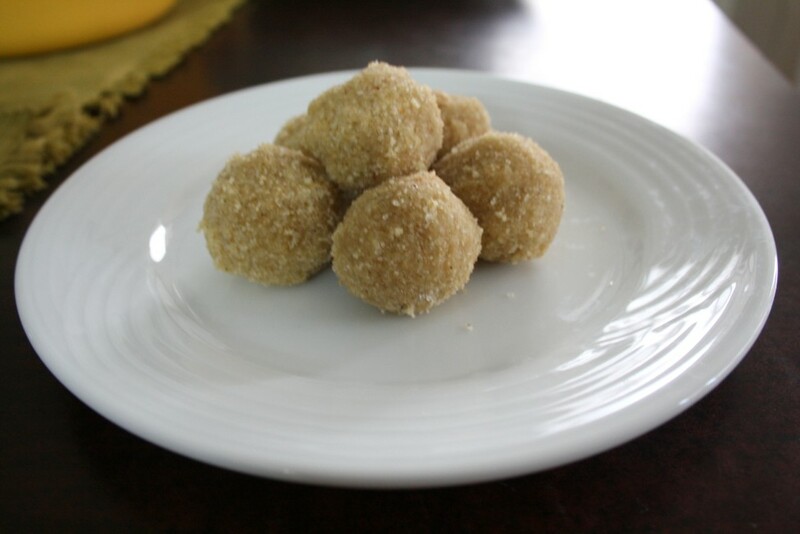 Even i tried my hands in making this samba wheat laddoos, looks wonderful. That is one quick ladoo recipe. Also a good way to get the healthy samba godhumai in the dessert. Never tried laddus with cracked wheat though we prepare similarly with rava. Must have been yummy. Actually I am tinking to make this laddu s. healthy recipe nice idea of ading coconut looks yummm..
My son's the same way — he doesn't like Indian sweets like gulab jamun etc. I'm thinking may be because I don't make them often, he's not getting used to them. These laddoos look healthy & delicious. What is samba godhuma–is it like really coarse wheat rawa?? A new variety of ladoo. Looks great. Will give it a try.